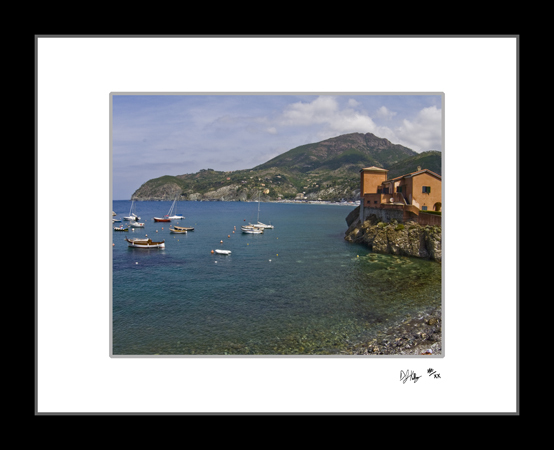 This photograph of the port located in Levanto, Italy captures several of the boats moored in Levanto. Levanto is a short distance north of Cinque Terre, a large tourist destination. With Cinque Terre so near by, one would think that Levanto would be over run with tourists, but instead it is a quiet town that can be enjoyed at a slow pace. This picture shows the calm blue waters of the port in the foreground and the green of the rugged coastline in the background.